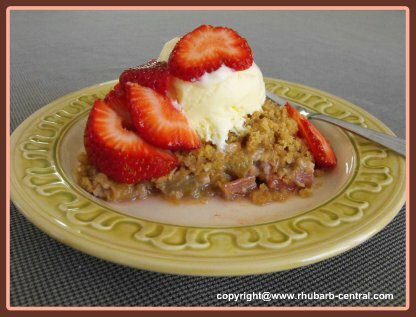 GOT Rhubarb in Your Freezer? 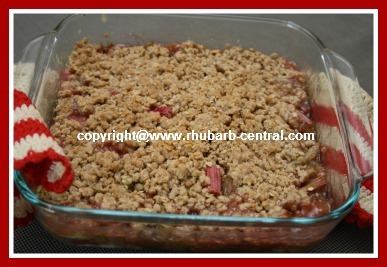 Looking for an assortment of Great Rhubarb Christmas Recipes? 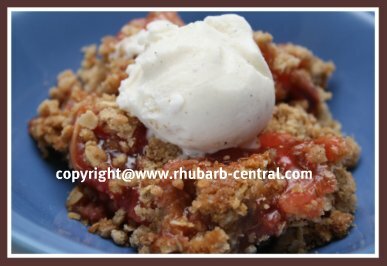 If you are like me, I freeze a lot of rhubarb, and then, around this time of year, I suddenly remember that I really need to use my rhubarb before the springtime - at which time I will be harvesting my rhubarb again! 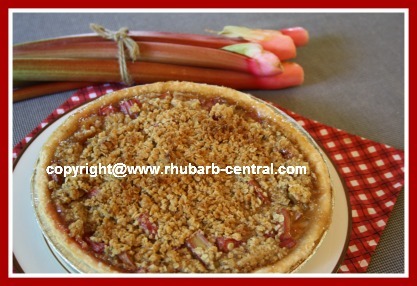 Rhubarb is such a versatile food, this makes it a perfect ingredient for your Christmas baking and cooking! 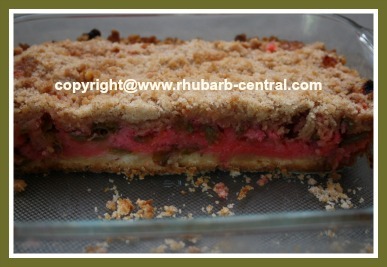 The red colour of rhubarb makes it even more suitable! 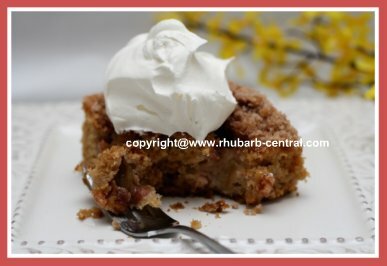 Look around, and I am sure you will find recipes to inspire you to use your rhubarb this Holiday Season! 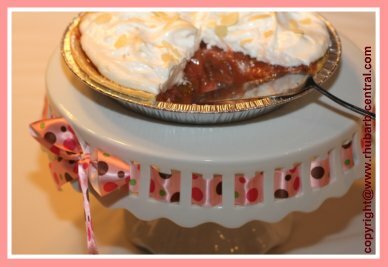 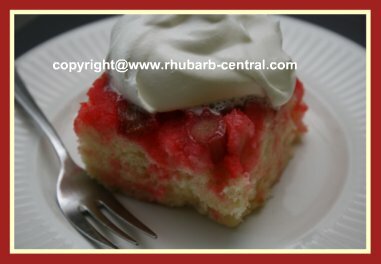 Everyone ♥ loves sampling "different" and "unique" recipes, so surprise your family and friends with a delicious rhubarb treat! 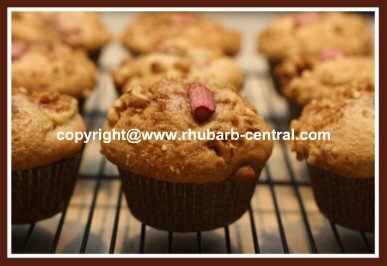 If you are hosting guests of family coming home for Christmas, why not serve a Special Christmas Morning Breakfast or Brunch of scrumptious homemade rhubarb muffins or rhubarb bread? 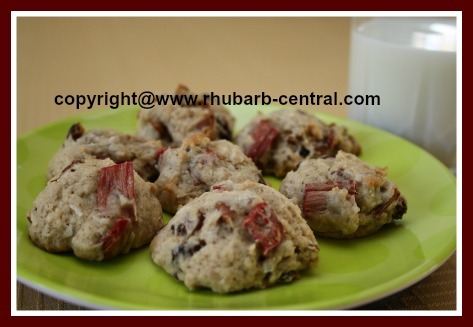 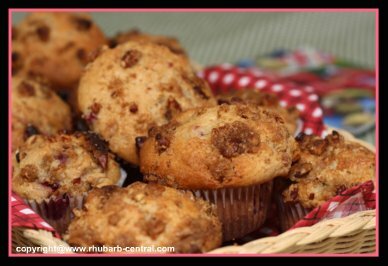 Or, make delicious and unique healthy cookies for breakfast or brunch, check out these delectable rhubarb cookies! 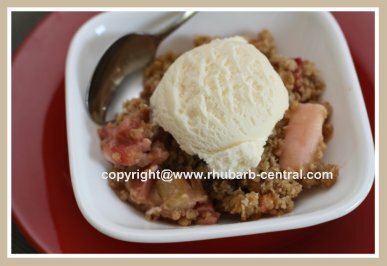 My experience is that even those people who claim that they don't like the taste of rhubarb, really just haven't tasted the delicious rhubarb recipes available to them! 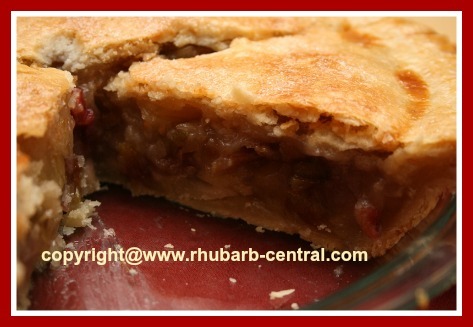 Often, after enjoying food made with rhubarb, they are very surprised to find out that they do love rhubarb after-all! 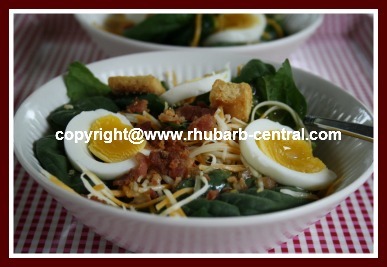 Have you planned a salad for Christmas Dinner yet? 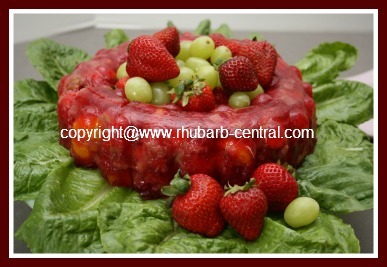 What could be more colourful and unique than a Rhubarb Salad? 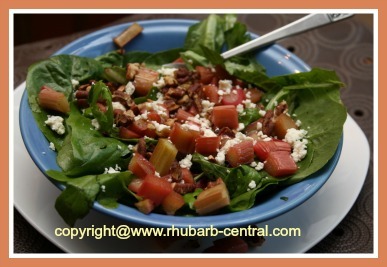 Check out the links below to Rhubarb Central's amazing rhubarb salads! 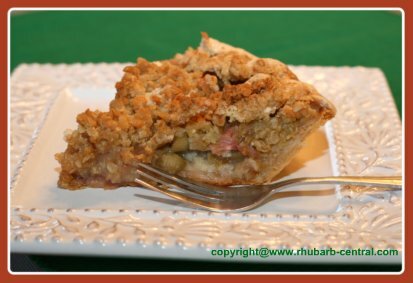 Christmas Dinner would not be complete without including a scrumptious, delectable rhubarb pie, rhubarb crumble, crisp, or any other delicious rhubarb treat! 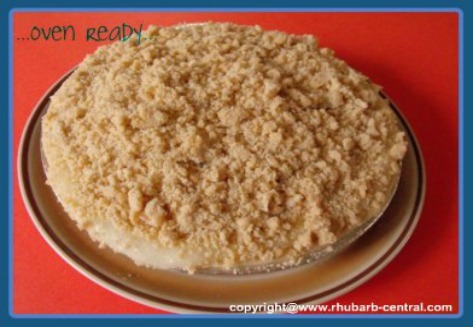 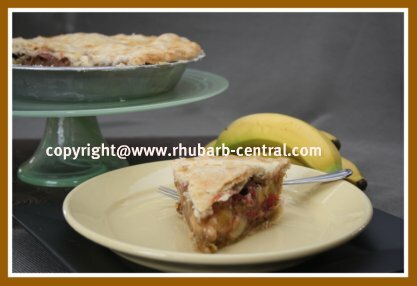 Here are some choice suggestions Rhubarb Central offers for a dessert made with rhubarb. 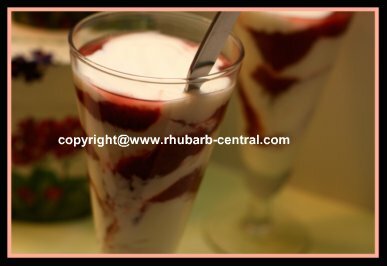 Be sure to check the links at the left navigation bars for specific categories of dessert recipes! 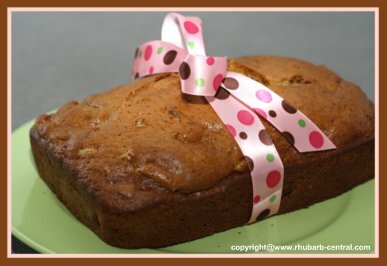 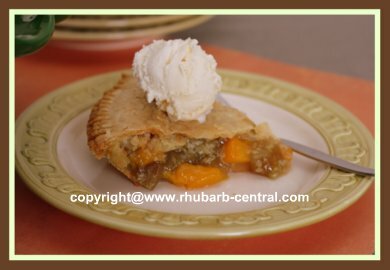 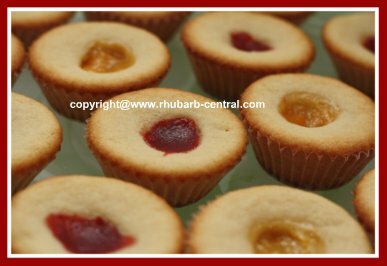 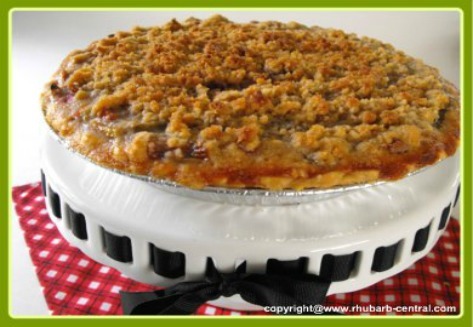 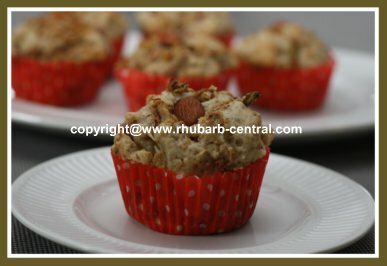 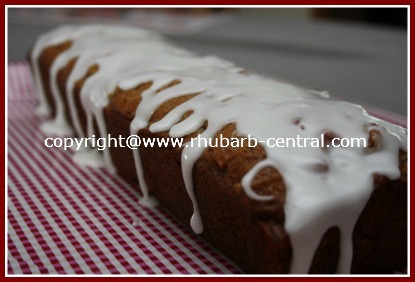 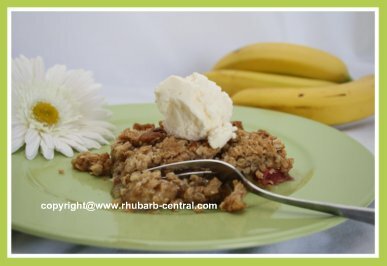 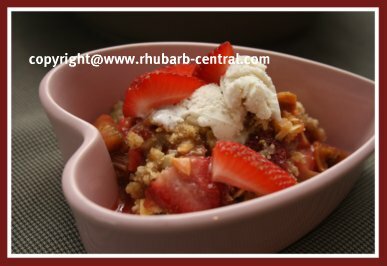 These links above are just samples of the many different dessert recipes that Rhubarb Central offers. 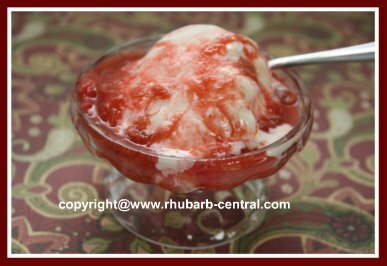 Do you like to make your own ice cream? 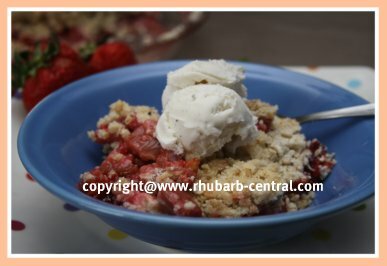 Make rhubarb ice cream ! 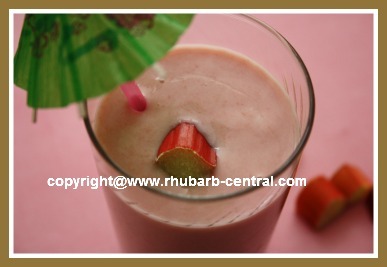 Do you like to make chilled soups as an appetizer or a dessert? 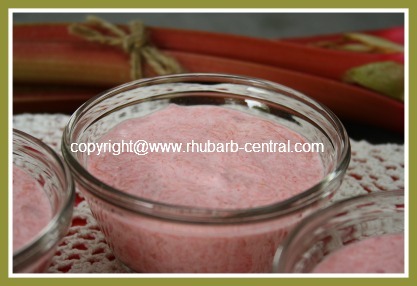 Consider making delicious cold rhubarb soup appetizer for a unique recipe for the Holiday Season. 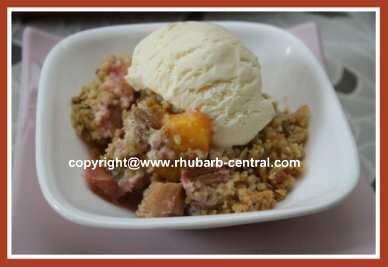 I like to use a large amount of my freezer rhubarb to make basic rhubarb stew, to use as a rhubarb sauce on puddings, ice cream, cheesecake, and make sCrUmPtIoUs rhubarb smoothies! 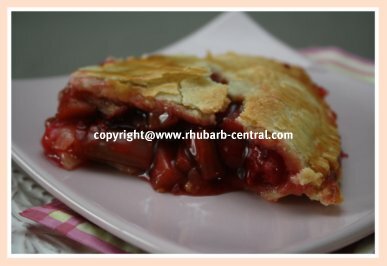 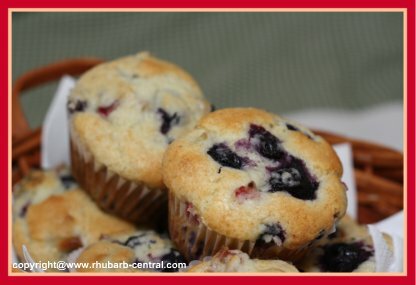 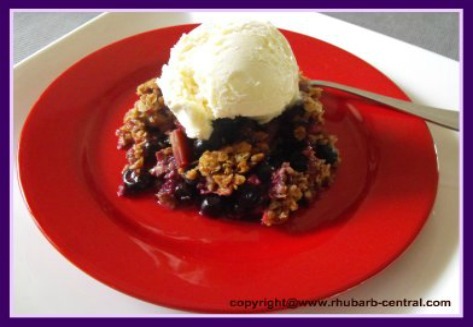 Rhubarb Central has hundreds of mouth-watering recipes to select from. 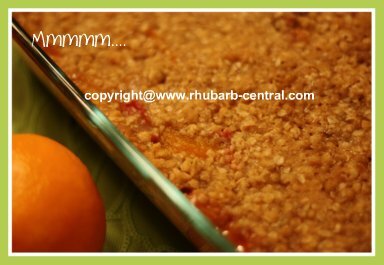 Include one or more of these scrumptious recipes on your Holiday Menu this year, and take everyone's taste buds for a ride! 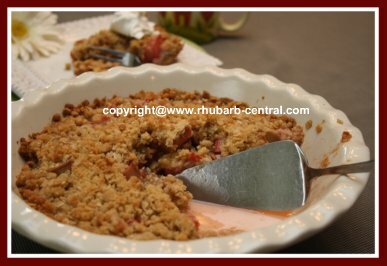 If you are needing to feed a crowd during the Holiday Season, consider making delicious rhubarb chili or rhubarb vegetable soup for Christmas recipes this year; so yummy! 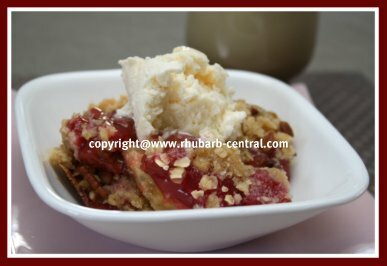 Whether to share with family and friends, or to give as Christmas Gifts, these Rhubarb Christmas Recipes will make treats that everyone will enjoy! 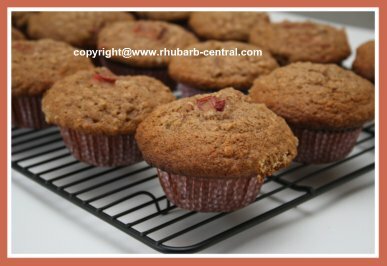 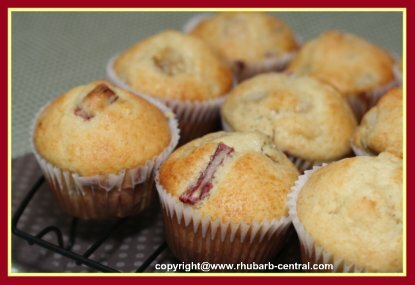 Take a look at the suggestions for delicious recipes made with rhubarb recipes, and I am sure you will find one or more recipes to inspire you to get baking and cooking Christmas recipes with rhubarb! 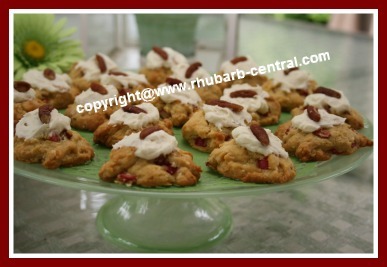 Are you hosting a Christmas Party at your home? 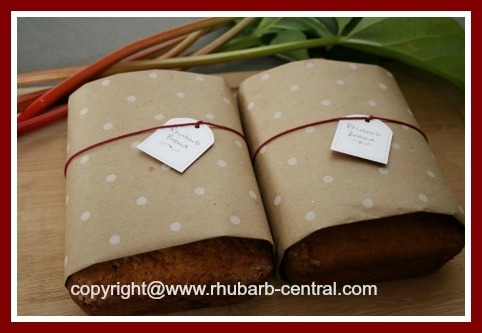 Have you been invited to a Christmas Party? 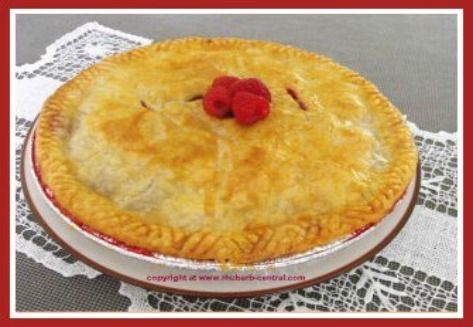 GOT Raspberries? 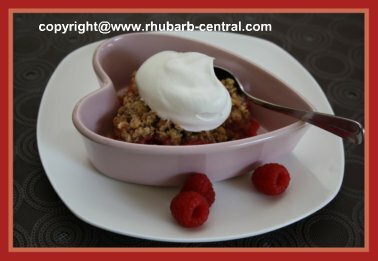 Visit my other website for hundreds of Christmas recipes ideas with raspberries! 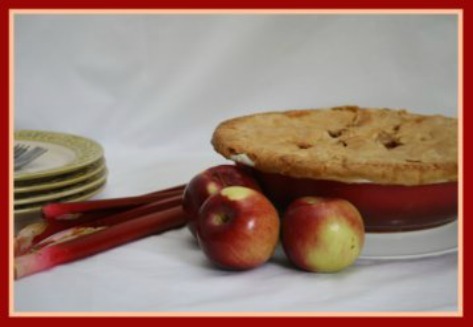 A Blessed Christmas and a Happy, Healthy New Year!